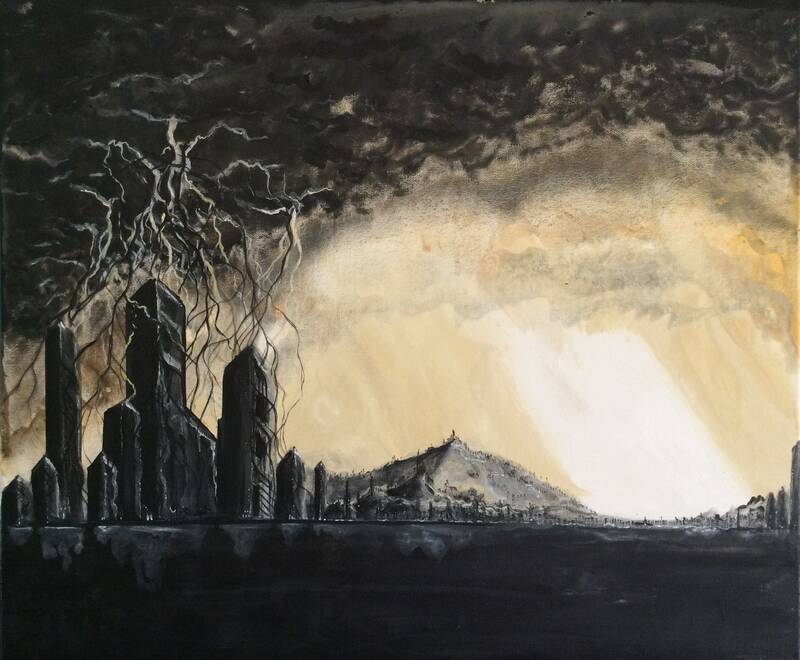 Shadow City is a detailed original dark art canvas painting featuring a dark city against a stormy, yet suntouched background. It's another in my large collection of hand-painted canvasses. This painting is 24" x 20" on a heavyweight (1" thick) stretched canvas. I created it in layers - pouring on two drips and then working in deep blacks and flecks of white. This painting is INTENSELY dark. It's a forceful presence force in any well-lit space.